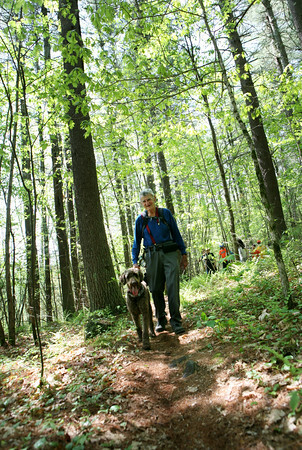 Vinny Landers from North Andover walks with his Labradoodle Maggie on the hosted walk through Harold Parker State Forest. Harold Parker State Forest hosts walks every Wednesday. Rain, sleet, sun or snow.